Corporate governance should enhance and ensure the interests of all stakeholders, not only shareholders but also the workforce, suppliers of capital and other goods and services, customers and society," says Mathew John, Head of Partnerships and Communications, Association of Independent Directors of India (AIDI). But shareholders surely are the first among equals in this list, and increasingly they are making their presence felt to ensure that company boards and managements acknowledge it. However small the percentage of shares they hold, they have a stake in the company's future, and are unwilling to blindly trust boards and managements to safeguard it. The past year has seen a number of instances of such shareholder activism, the latest being their opposition to the mega merger of Fortis Healthcare Ltd's (FHL) hospital division - with 34 hospitals - with the 14 hospitals belonging to Manipal Health Enterprises Pvt Ltd (MHEPL) in March this year. Minority shareholders of FHL protested that the original deal, which offered them 10.83 shares of the combined entity against 100 shares of FHL, undervalued the company. MHEPL Chairman Ranjan Pal denied it, but has since suggested increasing the valuation of FHL's hospital business from Rs 5,003 crore to make it `6,061 crore. So too, some large shareholders of ICICI Bank are known to have expressed displeasure and sought clarifications over their board's handling of recent charges against its CEO Chanda Kochhar, though they have not gone public yet. The board hastily reposed its full faith in Kochhar, even as the Central Bureau of Investigation (CBI) is looking into whether ICICI Bank's `3,250 crore loan to the Videocon Group - most of which turned into a non-performing asset (NPA) - involved a conflict of interest, considering Videocon owner Venugopal Dhoot invested in a company run by Kochhar's husband. Yet another case in September last year involved some shareholders of Religare Enterprises who moved the National Company Law Tribunal (NCLT) against their board investing `500 crore in one of the company's subsidiaries, claiming there were too many "unexplained write-offs" by the company and its subsidiaries. A study by proxy advisory firm InGovern released last year showed that in as many as 45 of the top 100 listed companies, there was at least one annual general meeting (AGM) proposal that received more than 20 per cent of dissenting votes. In some cases, boards had their way, especially by roping in the support of large institutional investors; in others, they were forced to modify or retract their original resolutions. The impact of such activism has varied. In recent times, the first major case to hit the headlines was in 2012, when minority shareholders of Akzo Nobel India resisted the paints and chemicals giant's effort to merge three of its unlisted subsidiaries with the listed parent in 2012, claiming they were being overvalued (See Rebellion in the Ranks). But the shareholders failed to stop the merger. In the next such major case, however, the merger of Sesa Goa and Sterlite Industries to form Sesa Sterlite, they were able to delay the step for two years, though not in preventing it. Such activism has been bolstered by a number of developments in the last decade. Proxy advisory firms - independent research outfits which evaluate corporate decisions - which began in 2010, have since mushroomed, helping minority shareholders become much better informed than before. The new Companies Act of 2013, followed by the Companies (Amendment) Act, 2017, has set higher standards for corporate accountability, thereby enabling shareholders to defend their interests better. Several rules formulated by the Securities and Exchange Board of India (SEBI) have similarly empowered shareholders. There is, for instance, the "majority of minority" rule for mergers and acquisitions and many related party transactions - these now have to be approved by a majority of shareholders who are not part of the promoter group. In January last year, a SEBI circular provided a guidance note on board evaluation. Not surprisingly, a BNP Paribas Asia Strategy Report in 2014 said shareholder activism was the highest in India among Asian countries. 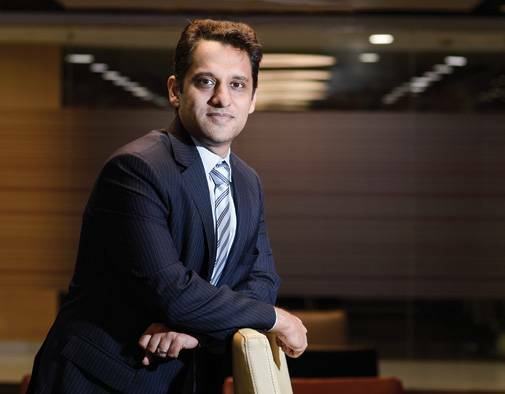 "Directors and senior management are now seriously considering the potential impact of shareholder activism while taking management decisions," says Pankaj Arora, Partner, KPMG in India. More is in the offing - the government intends to amend the regulations pertaining to appointment and removal of independent directors. It also plans to tweak cost audit rules under the Companies (Cost Records and Audit) Rules, 2014, to bring parity between financial records and cost records of companies. "These are correct steps and will significantly improve corporate governance in India," says Mathew of AIDI. "The growing emphasis on the inalienable rights of stakeholders as the true owners of companies and on a value-based approach will improve the growth of the capital market and by extension, the Indian economy." The causes of growing shareholder activism are numerous, but chief among them is the shareholders' feeling that managements and boards are not transparent enough with them. While earlier substantial minority shareholders like mutual funds and institutional investors preferred to quietly exit companies which they felt were not levelling with them, an increasing inclination now is to stay and fight by voting against resolutions. 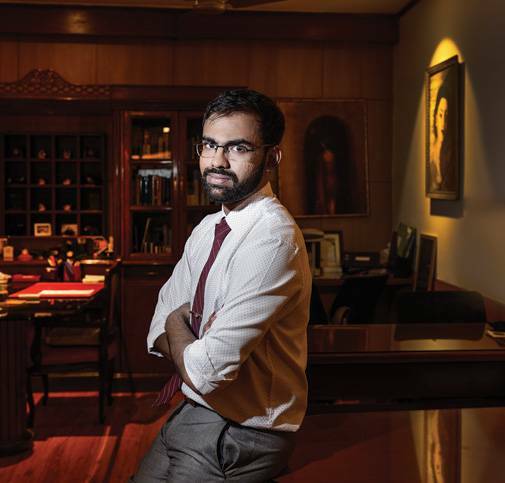 "Shareholder activism can take on a variety of forms," says Sharad Abhyankar, Partner, Khaitan and Co. "But their common thread is that they challenge the company board's concept of what will generate shareholder value and how to achieve it." How should board members deal with this trend? Most would agree that the spectacle of a public spat during a shareholders' meeting is best avoided. The key to preventing such disputes is preparation. Boards should have a core team - which could include experts from outside the company if needed - which anticipates dissent and provides the board a response to it. Naturally, such teams should pay special attention to non-routine board proposals such as divestments or mergers, ensuring greater transparency so that shareholder apprehensions are dispelled. Engaging with proxy advisory firms and regularly monitoring what they are saying about the company is also prudent, as well as circulating board responses - giving comprehensive explanations for actions being proposed - in the notices calling for a board meeting. The responses could even be read out at general body meetings. "The boards must gauge shareholder interest in company strategies and routine and non-routine proposals, and prepare accordingly," says Abhyankar. "It must never take shareholders for granted." Rather than rebut activist shareholders' views entirely in their responses, board members should stress the positive aspects of the criticism received, and underline that they are all united in a common purpose, that of enhancing company value. At the same time, they should use words very carefully, knowing these could impact capital markets and they will be held accountable - statements should be non-committal as far as possible and previously vetted by the company's lawyers and public relations team. "In essence, a proactive approach in terms of transparency and increased engagement are vital to handling shareholder activism," says Arora of KPMG. Can inducting representatives of activist shareholders onto the board be a means of pre-empting dissent? Section 151 of the Companies Act 2013, spells out terms and conditions under which such a representative can be nominated as an independent director. In the West, activist sponsored directors have been increasingly entering the boardroom through proxy contests or settlements, but the trend has yet to catch on in India. Last July, however, some minority shareholders led by fund management company Unifi Capital did try to nominate such a director on to the board of the country's oldest pharma company Alembic Ltd, leading to open conflict. The board turned down the proposal claiming that the nominee had conflicts of interest and was by no means 'independent'. While allowing such nominees on the board would be the ultimate step in ensuring transparency - and would send a strong signal to the market that the board was willing to accommodate activism - opinion is deeply divided on its sagacity. Much will naturally depend on the maturity of the nominee and his sincerity in carrying out his fiduciary duties. "It could have long-term implications on decision-making at the board level as there is a risk of balkanisation," says Abhyankar. "It could lead to tension among board members which could, in fact, be counterproductive." But even if activists are kept out of the board, their concerns cannot be ignored. "What is relevant is to integrate the activist thought process into the boardroom," says Arora. Boards in India so far have tended to focus largely on operations management and performance appraisal rather than strategy formulation and review. "I think boards will have to become much more involved in strategy and management of companies than they were in the past," adds Mathew. "They are going to have to spend more time, and they are going to have to act more like real owners of the business."